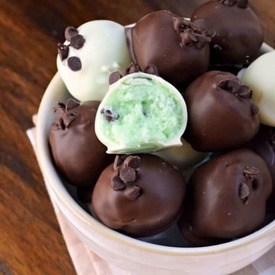 These Mint Chocolate Truffles from Sugary Sweets have a soft, creamy mint chocolate chip center and are coated in decadent chocolate! And they are so easy to make! What are you waiting for? Go make some today!